Dash cams that record speed have become increasingly popular in recent years and the many reasons for this are discussed later in this article. With new makes and models coming out all of the time, someone new to the search may find it difficult to begin let alone narrow down the many choices. If that person is you, fortunately for you we’ve assembled here our list of all the best dash cams that record speed. Here you will find a detailed description of each dash cam and its various features. 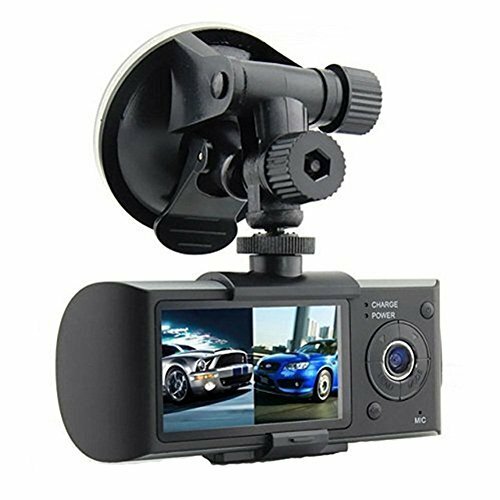 We’ve included cameras here that represent the spectrum of prices so you will be bound to find a speed recording dash cam that fits your budget. Let us handle the difficult research – all you need to do is take a few minutes to read through the options and locate the camera that fits your needs best. The KDLINKS X1 speed recording dash cam comes with a built-in GPS module. When this feature is turned on, not only is the location of your car being monitored but the speed too. This is done through Google Maps via the software that comes free with the camera. In addition to recording your speed and location, the KDLINKS X1 boasts a large 2.7” screen. Here you can watch your recorded videos and edit them on the spot. 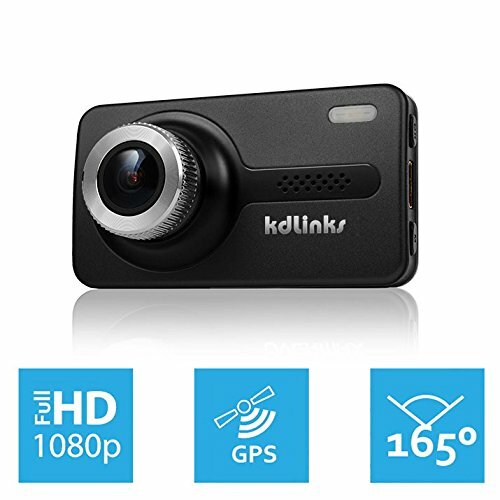 The KDLINKS X1 camera boasts a fisheye wide-angle lens that records 165 degrees of the road in front of you and films in 1080P, guaranteeing you crisp, clear footage. The KDLINKS X1 also comes with a lithium polymer battery designed specifically to withstand extreme hot and cold temperatures, so if you are driving in extreme climates, the KDLINKS X1 is an excellent choice. The Autovox D1 is a cheaper alternative to the KDLINKS X1 listed above. While it only captures 140 degrees of the road with its fisheye lens, it films in the same resolution as the more expensive KDLINKS X1. For a fraction of the price, the Autovox D1 comes with a customizable GPS module that can list date, time, speed and location of the vehicle as it moves about the world. 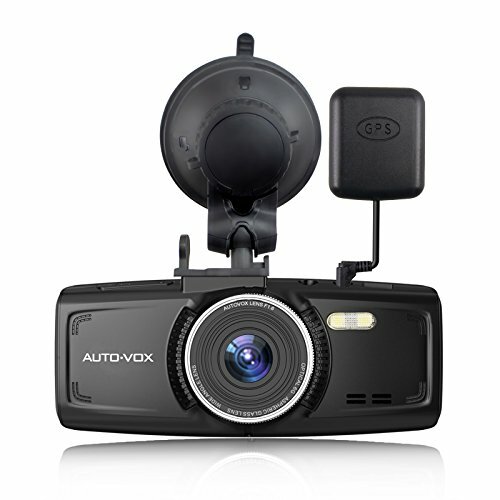 The WDR technology of the Autovox D1 also can adjust automatically to bad lighting meaning that the Autovox D1 will capture high quality images of the road regardless of the light levels outside. The Autovox D1 is also a hands-free device, turning on by itself when the car starts and shutting down when the car is at rest so you never have to worry about forgetting to power up your device or turn it off. 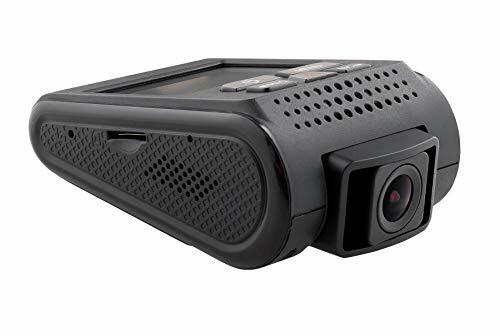 The SpyTec is another great choice for a dash camera that records speed. Priced more or less the same as the Autovox D1 listed above, the SpyTec films at an even-higher quality in an impressive 1296P. The unique design of the SpyTec is almost triangular and attaches easily to the windshield with an adhesive mount as opposed to a suction cup. The shape of the SpyTec means that it will be less likely to be noticed by prying eyes, which is a good thing, as thieves have been known to break into a car simply to take the dash camera. The internal capacitor makes it, like the KDLINKS X1, a great choice if you live in extreme temperatures and the device can accept SD cards up to 64 GB, which equates to 7 hours of video before it begins to write over the oldest files first. 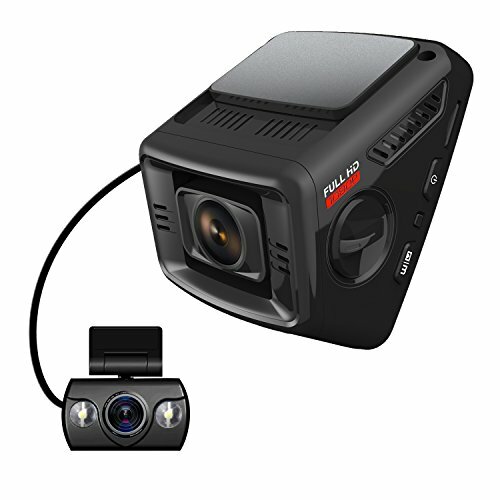 The ITRUE X6D is the first speed recording dash camera that has a dual channel set up. A dual channel camera keeps an eye on the front and back of your car at the same time with two separate cameras, giving you almost total protection. The front facing camera is triangle shaped like the SpyTec (above) and can capture 170 degrees of the road as you drive. The rear camera of the ITRUE X6D comes equipped with infrared lights, which helps it capture footage during low lighting conditions. Both cameras of the ITRUE X6D work simultaneously. Each camera can be attached using adhesive tape making installation easy and painless. 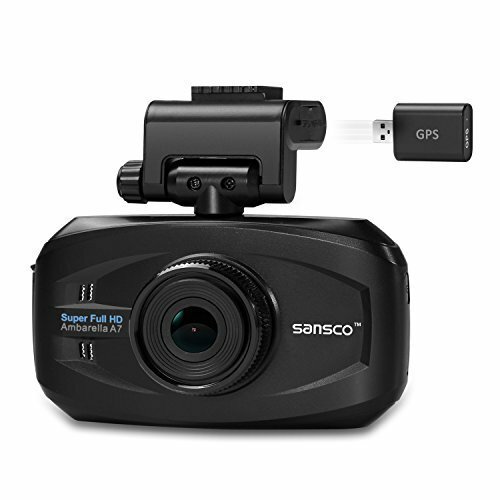 The SANSCO comes with a number of features that make it an excellent choice for those looking for a dash camera to record speed. In addition to GPS tracking and speed recording, the SANSCO comes with lane departure warning software, driver fatigue alert, headlight on reminders, and even an over-speed alert which will make a noise alerting the driver that he or she has exceeded the speed limit. This alone could save you the headache and pain of a speeding ticket. Furthermore, the SANSCO films in an extreme HD at 1296P, which means that even from far away or under bad lighting conditions, the SANSCO will capture important details, like license plates or driver’s faces or road signs. The SANSCO also comes with advanced 3D-DNR technologies and high ISO values meaning that night recordings are just as crisp and clear as ones captured during the day. Of all the dash cameras on our list, the DDPAI M6 boasts the most unique design. The base of the unit is attached to the windshield via a strong adhesive sticker and the camera itself has a magnetized attachment, which makes it easy to insert and remove from the base, unlike a suction cup, which is less easy to remove. With built in WIFI functionality, the DDPAI M6 allows the user to upload videos to social media sites or YouTube with the click of a button. The DDPAI M6 also boasts an excellent resolution and the GPS records your route as well as speed. The DDPAI M6 also comes with a remote device, which when pressed will take a 10 second snapshot of whatever is on the road in front of you. The Vantrue is a small compact dash camera that provides users with a great quality video and superior night vision capabilities to capture driver’s licenses and road signs at any time of the day. It also comes with a unique parking mode feature which, when hardwired to the vehicle, becomes a motion detector camera that will begin to record movement from 33 feet away if it is in the camera’s line of sight. The Vantrue X1 captures an impressive 170 degrees of the road in front of you and boasts G-Sensor technology that automatically locks any videos recorded when the camera detects an unusual vibration so you never have to worry about accidentally deleting or recording over a file that has crash footage. The Timetec Road Hawk dash camera is another great option for those looking for a device that records speed. The device itself does not look like a typical dash cam and this can prove to be an advantage as thieves are less likely to recognize it within the vehicle. 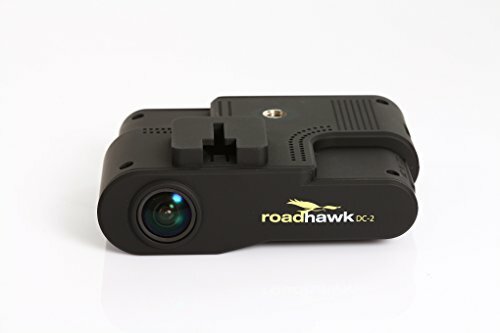 The Road Hawk has a GPS logger feature that allows users to track their routes and speeds easily. 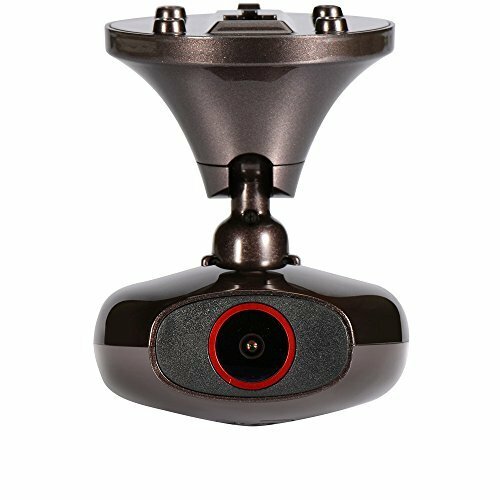 The camera allows users to film in 1080P, 720P, or 480P and the wide-angle lens captures 127 degrees of the road to give a full view of the scene around you. The Road Hawk can support SD cards up to an incredible 128 GB meaning that you can record hours and hours of footage before the loop-recording feature begins to write over oldest files first. 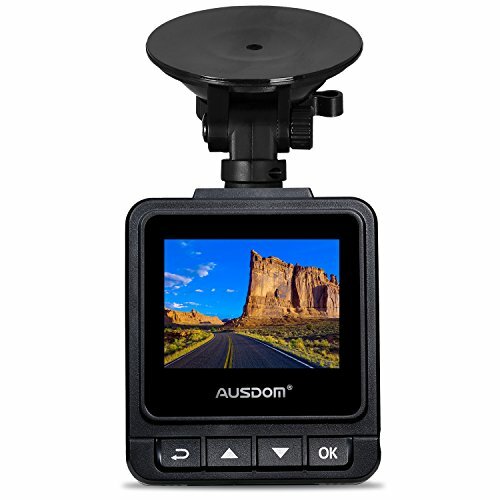 The AUSDOM dash camera is a tiny square shaped dash camera that can record in 720P, 1080P, or even 1296P. The built in GPS device is a powerful tool that captures the cars exact location at all times and even displays the vehicle’s speed so you know how fast you were going along various routes – good news if you need to contest a speeding ticket. The AUSDOM also comes with G-sensor technology so that any crash-related incidents are not lost in the loop recording function or by accidental deletion. The little camera can support SD cards up to 64 GB. The Haopooner dash camera is the most economical dash camera on our list, but that doesn’t mean that it won’t give you what you’re looking for. Like the ITRUE X6D listed earlier, the Haopooner is a dual channel dash camera that records footage of the front and back of your vehicle simultaneously. The unique cylindrical design of the Haopooner allows the camera to be rotated up or down to record the best shot of the road. The front facing camera records 140 degrees of the road and the back camera records 120 degrees. The GPS logger keeps an accurate record of your travels, which can be downloaded to your computer for review later on. The FalconZero is the last speed recording dash cam on our list. The camera is small and attractive, an interesting design that won’t interrupt the aesthetic of your car’s interior. It boasts a number of attractive features including motion detection surveillance and loop recording. The camera of the FalconZero captures a super wide view of the road, a full 170 degrees or the equivalent of 3 full lanes. 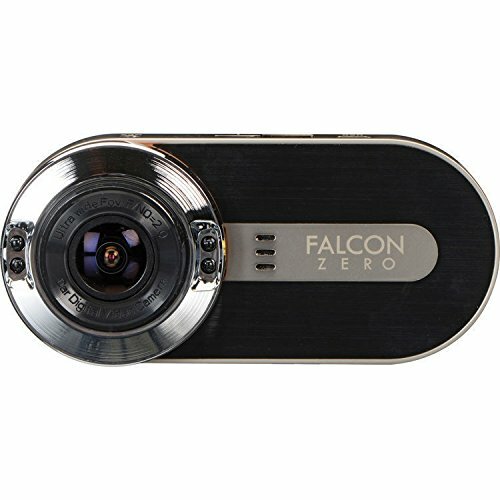 Crafted out of aluminum, the FalconZero is a sturdy device, able to withstand accidents that could put other dash cams out of working order. Furthermore, the FalconZero comes with WDR image enhancement and night vision capability so that your footage comes out clear and crisp no matter when or where it’s filmed. The Vantrue OnDash is an alternative to the Vantrue X1 listed earlier on our list. Filming in crystal clear 1296P, what is known as super HD, the Vantrue OnDash has a few additional features that make it well worth the price. For one, like its cousin the Vantrue X1, the Vantrue OnDash comes with an excellent parking mode feature that allows the camera to act as a motion detection surveillance cam that watches over your car even when you step away. Furthermore, the six glass lens is dust and heat proof guaranteeing clear and clean images even when the lighting is not favorable. There’s even an emergency lock button which will manually record and lock a 30 second recording of the scene in front of you so you don’t accidentally write over it later on. Using GPS technology to effectively track a vehicle’s route and speed can be a useful feature for a number of reasons. For one, knowing the location of the vehicle can ensure that the car is where it is supposed to be at all times. Consider how this might be useful to a business owner with a company car – he or she could ensure that the car is not being used for purposes other than what it was intended for. When it comes to speed, knowing how fast the vehicle has been traveling could be just as useful as knowing where it went. In the same scenario, with a dash camera that records speed, a business owner could ensure that company drivers are navigating the roads safely and not putting the company car at risk for an accident or receiving a ticket. Knowing how fast the car was moving will not only keep drivers more accountable after the fact, but if a driver gets into the car knowing that his or her speed is being recorded, the camera will act as a kind of deterrent to bad behavior. In another instance, business owners might want to know how fast their company car was going in order to ensure that the minimum amount of gas is being expended. It’s been proven that increasing your highway cruising speed from 55mph to 75mph can raise fuel consumption as much as 20%. Another benefit to owning a dash camera that records speed is that it can keep unruly teenagers and new drivers and known daredevils on a virtual leash. All parents are concerned about the rate at which their children drive. No matter how many times you can tell your child to drive slowly and carefully, sometimes the advice goes in one ear and out the other. With a dash cam that records speed, you no longer have to just trust your kids to tell you the truth. You will now have incontrovertible evidence not only of the route that your kid drove, but also the rate. Parents who find that a young driver has been routinely going over the speed limit could impose penalties for dangerous driving. For kids, it would be hard to squirm their way out of those accusations, as the camera’s data never lies. Another good reason to own a dash camera that records speed is that it can be used as a kind of airtight defense for someone that receives a ticket for going too quickly. If you believe you received the ticket in error, your only defense is to have some kind of evidence on your side that proves your point. If the dash cam recorder proves without a doubt that you were going well under the speed limit this could easily get you out of an expensive ticket or an unwelcomed hike in your insurance rates. Many dash cameras that record speed are equipped with Wi-Fi technology, so getting yourself out of a sticky situation could be as easy as sending on the video directly to your insurance agent. The same principle would apply in a court of law: with the SD card containing the files on your side, proving your innocence could be as easy as bringing the camera into court with you or making an addendum to the report at the police station, making your evidence now part of the official written investigation. For all these reasons and more, having a dash camera that gives you a recording of your speed is a valuable investment, well worth the cost. If a dash camera that records speed could get you out of trouble, it could also be used against you just as easily. Take this scenario for instance: let’s say you are driving down the road minding your own business and you pass safely through a legal yellow light when out of nowhere a car T-bones you from the side, resulting in an accident. At first you may think that the case is an open and shut affair, you had the right of way, the go ahead, the light was yellow, and the other car was at fault. But what happens if after reviewing the footage, you see that at the moment of the accident you were going 32 miles an hour instead of the posted 30. Even though you were only going two miles an hour over the limit, technically you could be deemed as being in the wrong. The officer could say, had you been driving 2 miles an hour slower, there would never have been collision in the first place. Here your own evidence could end up being what eventually confirms your guilt. This problem becomes compounded when you consider that there have also been reports of the dash camera speed recorder being “off” for one reason or another. After searching the Internet it’s not hard to find people claiming that for one reason or another the dash cam was not reading the car’s speed in the same way that the speedometer was. This could be because the camera was not calibrated properly or because there was a glitch in the software or some other malfunction. Just remember, whatever evidence you have for your case can also be used against you. Its important to note that most of the time an accident occurs, the driver is not looking at his or her speedometer. Perhaps it’s best to examine your footage first before handing it over to law enforcement who may take the open and shut case of your speed as the main factor used to determine who was at fault. Your vehicle is one of your most prized possessions. It is responsible for getting you to and from work; it helps you move about the world. You have a right to know how it is being driven if you lend it to employees or other family members. A dash camera that can record your speed is a worthy investment for a number of reasons. Not only does it hold all drivers of your vehicle accountable for their routes and speed, but it can also be used as a deterrent to bad driving. Those aware that they are being recorded are far more likely to drive slowly and carefully. Furthermore, a dash camera that records speed could one day provide you with the very evidence you need to get yourself off the hook if you are ticketed unfairly. Remember that most dash cameras are easily customized. If you do not wish to have your speed recorded it is very easy to simply turn this function off completely. Just be aware that if you know how to turn off this function other drivers will be able to do so as well. At the end of the day a dash camera that records your speed can either be your friend or foe. Just remember that whatever evidence you have on that camera can always just as easily be used against you. Think wisely about whether or not you want this function before making a purchase. Some people find the feature entirely unnecessary and even a danger. Others claim that it has helped them avoid unfair fines and expensive insurance hikes. It’s good to remember that like everything, technology can be a double-edged sword.